The men and machines of Border Roads Organisation (BRO) has been pressed into service to clear the landslides. Traffic has been suspended on the highway due to falling of rocks and landslide. 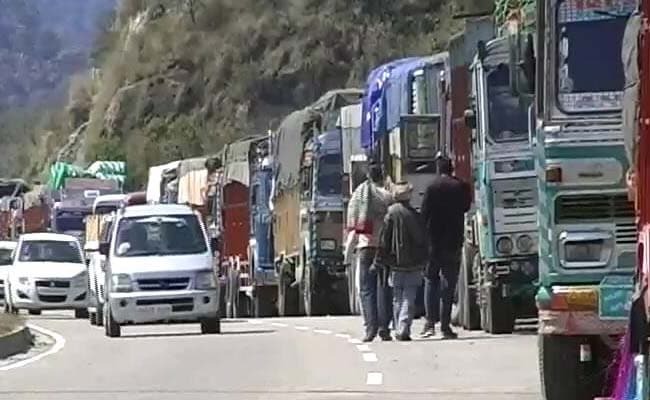 Jammu: The 300-km-long Jammu-Srinagar National Highway was closed due to landslide and falling of stones from hill tops in Ramban district of Jammu and Kashmir, a police official said today. "Traffic has been suspended on the highway due to falling of rocks and landslide triggered due to rains in Digdol belt in Ramsoo tehsil of the district today," the police officer said.